Home > News > Here comes Summer! Our popular summer promotion is back! 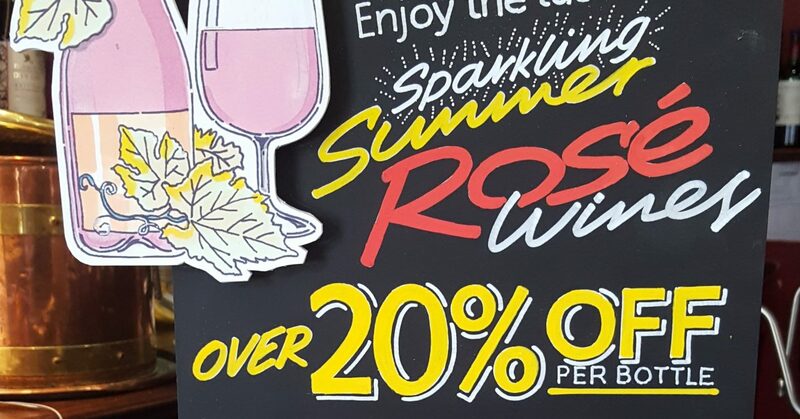 Enjoy over 20% per bottle on selected Sparkling Summer Rose Wines. View full details of the promotion or take a look at our promotion board on the bar next time you in The Greyhound! But if you fancy Jacobs Creek Shiraz Rose, that’s already sold out! So don’t delay, get to The Greyhound and enjoy your Summer Wine with the sunshine outside in the tranquil setting of the Courtyard.